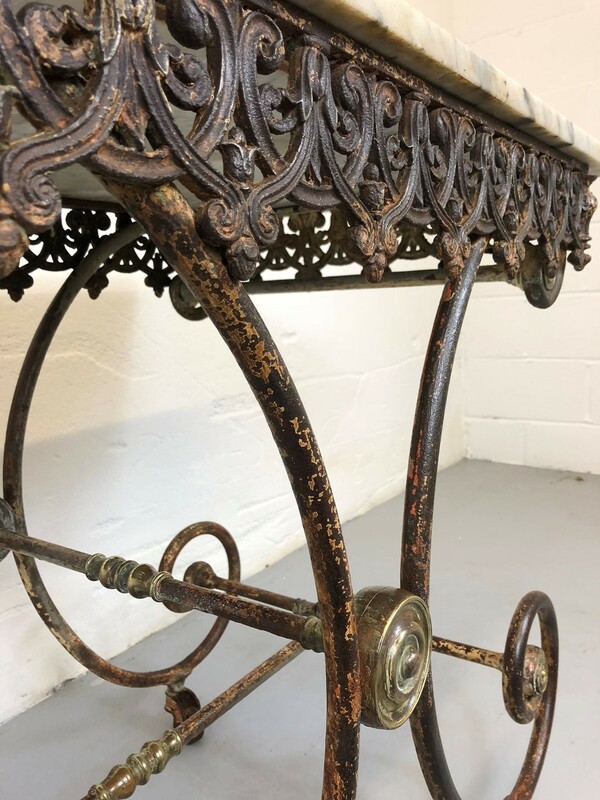 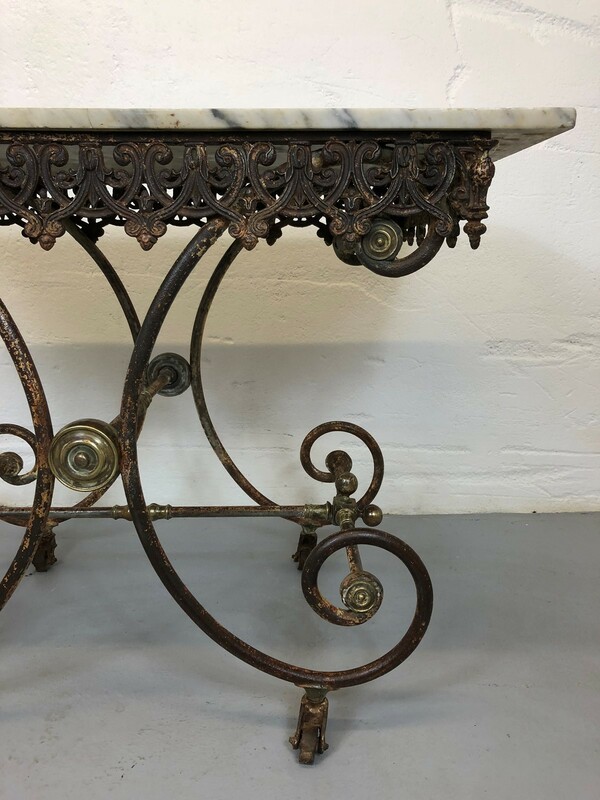 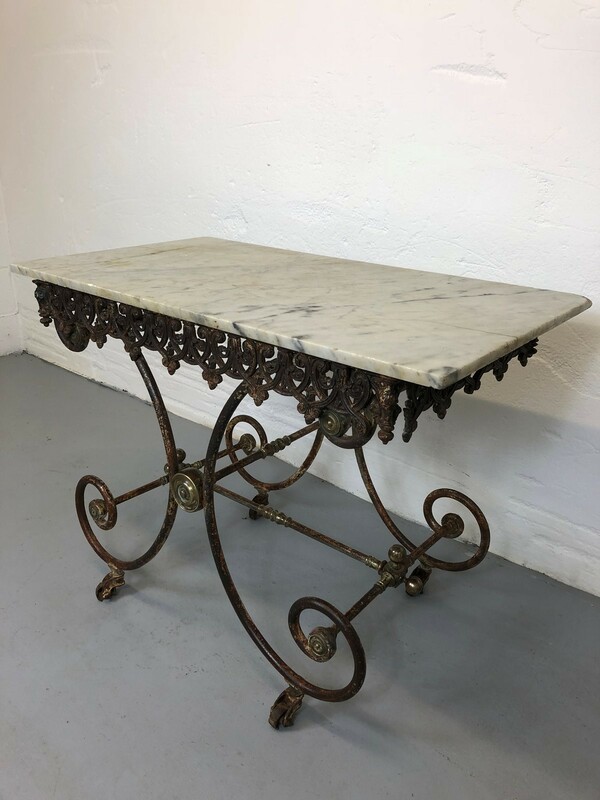 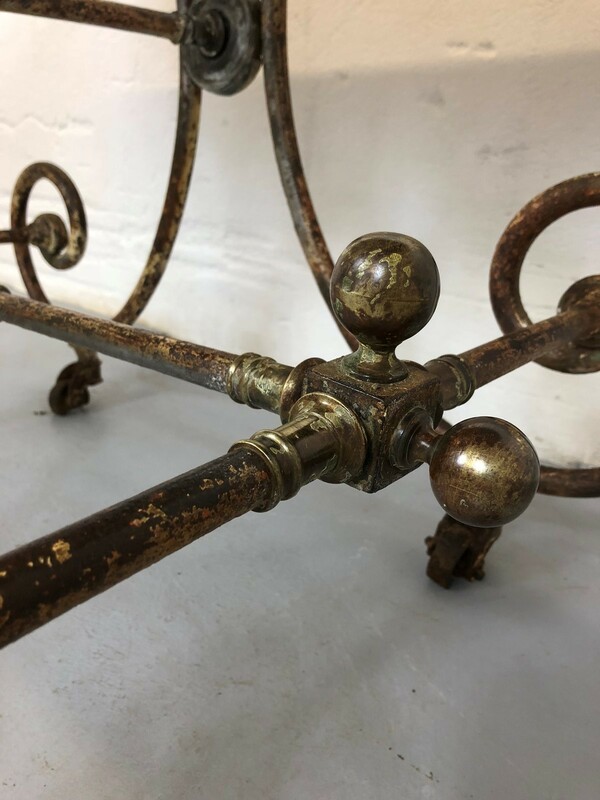 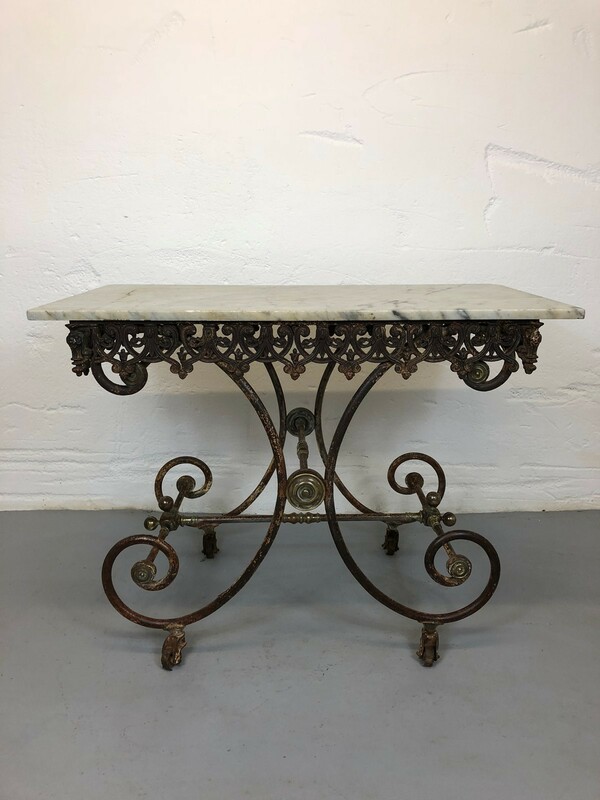 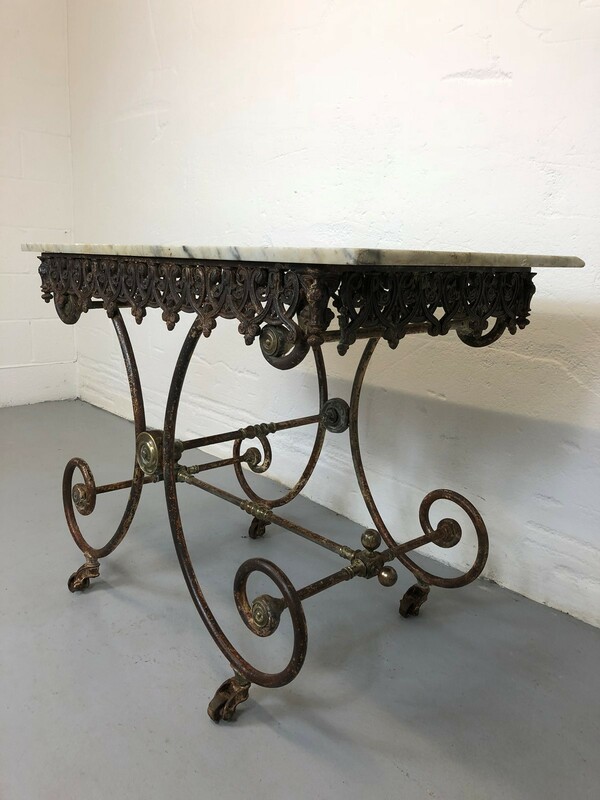 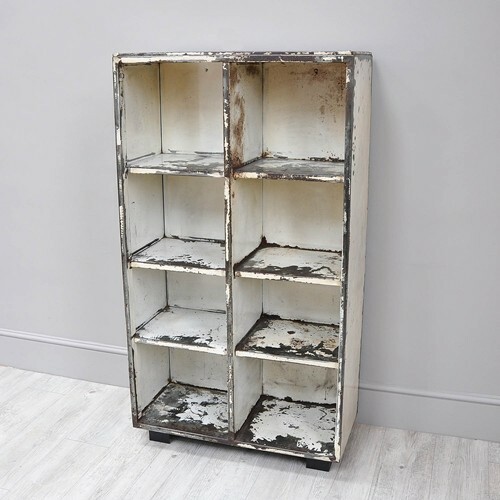 *Beautiful curved wrought iron base, featuring a fretwork iron border and brass elements throughout. 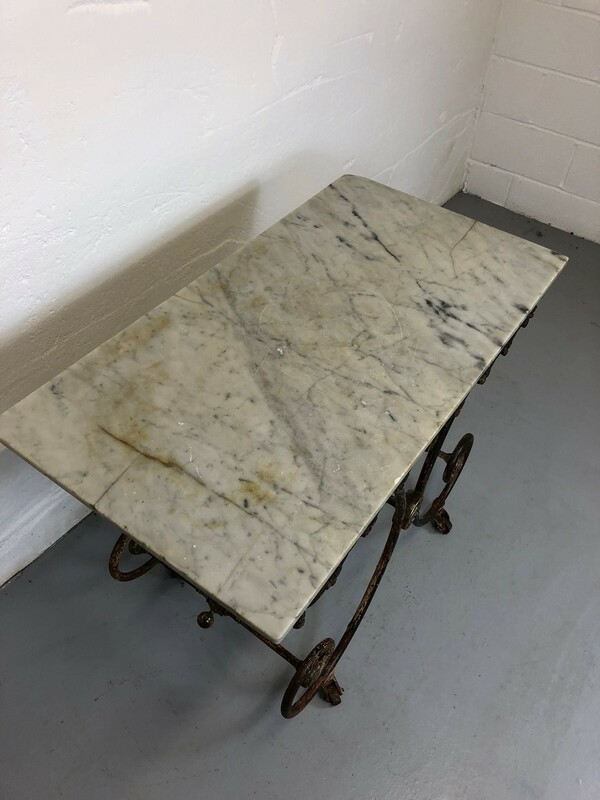 *These tables were mainly used to display the best cuts of meat in French butchers shops. 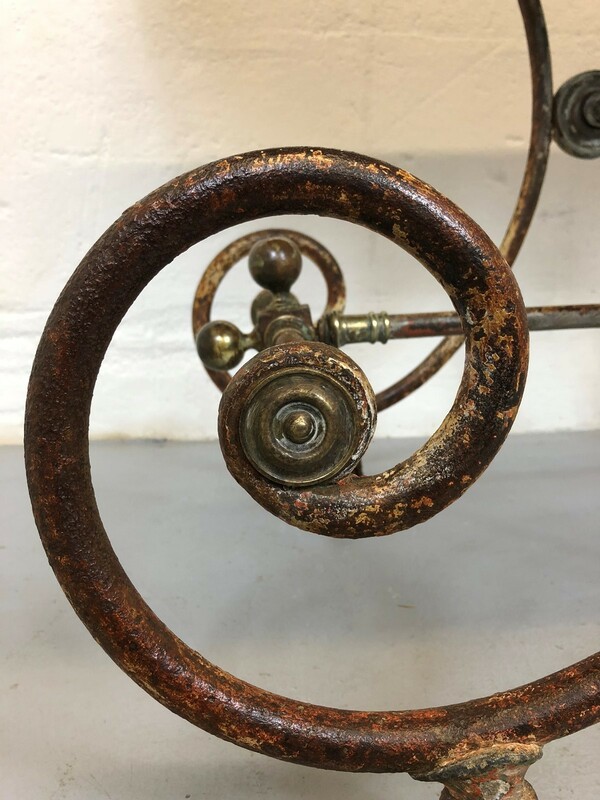 *Beautiful patina to the frame - Cleaned and waxed.